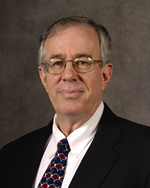 This year’s Center for Mission and Identity Visiting Scholar in Catholic Thought is Roman Catholic Theologian and Senior Research Fellow Dr. John F. Haught. His area of specialization is systematic theology, with a particular interest in issues pertaining to science, cosmology, evolution, ecology and religion. For information about his October 10-11 lectures and to view a list of his books available in the Benedictine Library Collection, please visit libguides.ben.edu/haught .